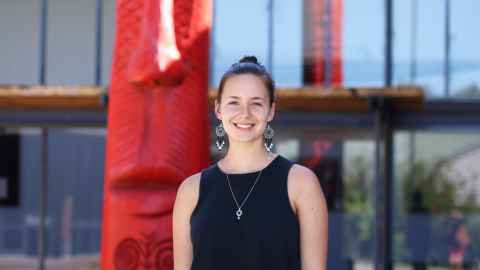 Elsa, a junior at Dartmouth College in the US, explored indigenous language revitalisation during summer school at the University of Auckland. 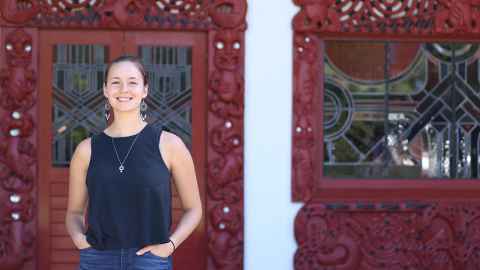 “Being from an indigenous community in the US, I had heard lots about the amazing work Māori people have done, and continue to do, for cultural and language revitalisation in New Zealand. My Uncle and Aunt visited New Zealand about ten years ago to learn from the kōhanga reo initiative here before building an immersion school in our language, Ojibwemowin. Hearing about their visit and the immense natural beauty of New Zealand, I knew I wanted to come here at some point in my life. 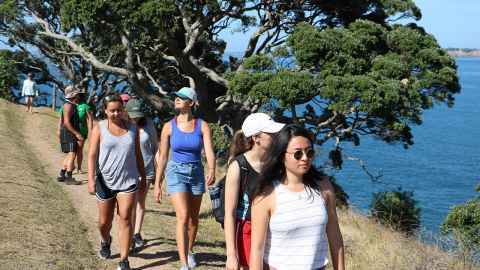 When I heard my home university had a study abroad programme to the University of Auckland, I applied immediately. 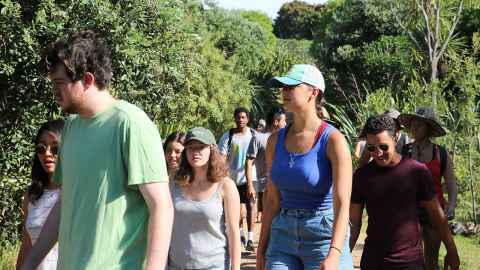 The best part was being taught by Māori professors – it was so refreshing to learn about Māori culture, language, and history from the perspective of the people themselves.